In June 2001, a Miami jury found five Cubans guilty on charges ranging from spying to conspiracy to commit murder and endangering the security of the United States. The five men had already spent three years in prison, mostly in solitary confinement. They were guilty of nothing more than peacefully trying to protect their country against terrorism. Despite international protests and legal challenges, the Cuban Five remain in jail in the US. Gerardo Hernandez was given two life sentences plus a further 15 years. Ramon Labanino was given life, as was Antonio Guerrero. Fernando Hernandez, who had infiltrated the notorious 'Brothers to the Rescue' organisation and posed as an anti-Cuban agent, was given 19 years imprisonment and Rene Gonzalez 15 years. These men had been working to foil the persistent attempts by right-wing counter-revolutionary groups in the United States to commit acts of sabotage and terrorism against Cuba. Among those they attempted to expose was Posada Carrilles, wanted for the destruction of a Cuban airliner in 1976 when over 70 people were killed. Carilles is wanted in Venezuela for this terrorist act but the US government refuses to extradite him. Rock around the Blockade has been proud to receive the following postcards and letters from the Cuban Five. The Cuban Five, Gerardo Hernández, Ramón Labañino, Antonio Guerrero, Fernando González and René González, are five Cuban men who are unjustly imprisoned in the United States after being arrested by the FBI on 12 September 1998 and convicted in US federal court in Miami in 2001, in a political prosecution by the US government. This September marks 15 years since their arrest. The Five were falsely accused by the US government of committing espionage and conspiracy against the United States, and other related charges. The Five’s actions were never directed at the US government, they were on a mission in Miami, beginning in 1990, to monitor the actions of Miami-based terrorist groups, in order to prevent those groups from carrying out attacks on their country of Cuba. Their objective was simply protecting people from terrorism. New evidence has recently come to light that, unknown to the defense, Miami journalists who reported on the trial, with extremely biased coverage, were on the US government payroll. After years of international campaigning, led by Cuba, Rene was released on 7 October 2011, forced to remain in the US for a further 18 months but since May 2013 has been in Cuba, finally free. 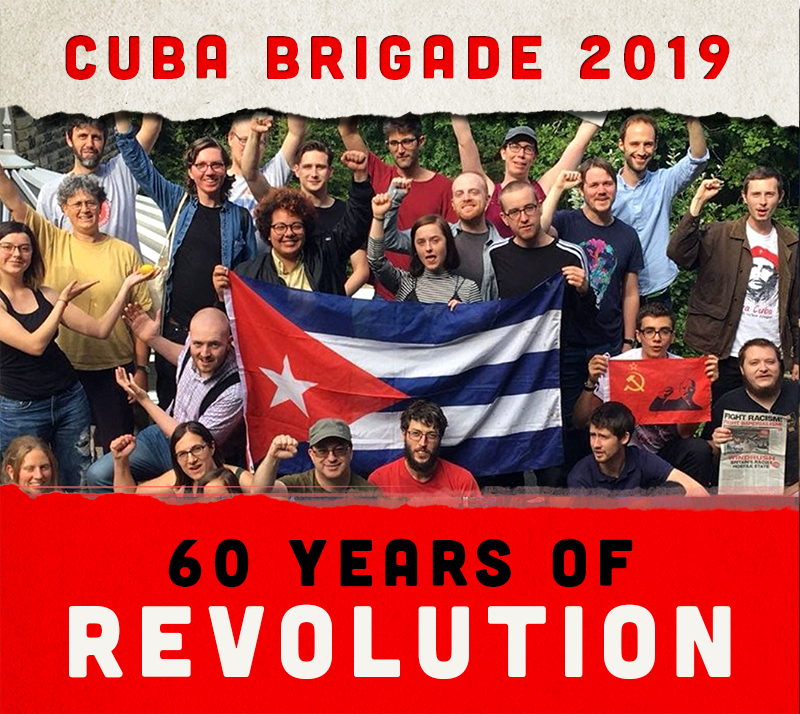 Join us on the streets to demand the release of all of the Cuban 5, their return to Cuba and victory against US imperialism and the US blockade. On 12 September activists worldwide will adorn themselves with yellow ribbons, a symbol of the demand for the Cuban 5 to be returned home. We will be wearing yellow ribbons on 14 September.